With the students back in Portsmouth, the Creative and Cultural Industries Television Channel (CCI TV), produced and managed by BSc Television and Broadcasting students, are preparing their final year television crews to begin transmitting programmes to campus, online and to the Big Screen Portsmouth with more live programming than ever before. 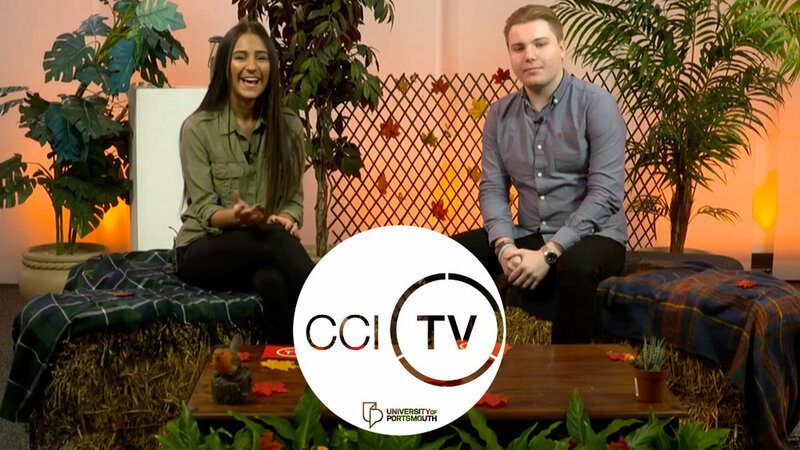 From Friday, 20 October you'll be able to enjoy the first live broadcast of the year that will look at the Creative and Cultural Industries (CCI) within The University of Portsmouth. Then, on the 27 October, the shows will take a look at Portsmouth and what's going on in and around the city and the week after will look at healthy living. The shows will broadcast each week up until 15 December each Friday from 12:00pm online and on the Big Screen, live from Eldon Building at The University of Portsmouth.